A splash of vibrant colour is no longer a taboo in luxury watchmaking, as a number of recent launches have shown. As a heatwave rages across Europe, we dress down to adapt, even taking the relatively extreme step (at least for your editor-in-chief) off wearing shorts to work in our non air-conditioned office. The more traditional luxury watchmaking offerings are less adapted to this kind of attire, but a few brands have just the watches you need to flaunt your horological street cred even when you are dressed down. Bell & Ross’ Cal. 302 relies on the Sellita SW300, a 25-jewel, 38-hour power book, automatic mechanical, time-and-date quality that hums along at a standard 28,800bph. Sellita’s SW300, although less similar as the SW200 and ETA 2824, exists as an alternative to the ETA 2892. While it isn’t a radical piece of haute horology, the Sellita based Cal. 302 should offer years of faithful and accurate service and also make for simple servicing when the time comes.A new dial for the current V1 series, the Bell & Ross V1-92 adds yet another popular pilot’s configuration to the expanding lineup and is the only 38.5mm version with faux vintage colored Super-LumiNova, if that is what you’re into. The Bell & Ross V1-92 Military is also not prohibitively costly at $1,990 USD on a really much aviation-inspired classic looking brown leather strap.Though likely famous for its more affordable, instrument-inspired pilot and subject watches, French watchmaker Bell & Ross continues to assert itself as a great deal more than the usual one-trick pony, using the most recent addition to its BR-X “Experimental” collection: the crazy Bell & Ross BR-X1 Skeleton Tourbillon Sapphire.Standouts in this occasionally divisive collection have included that the stealthy forged carbon BR-X1 (hands-on) and also the more exotic Bell & Ross BR X2 Tourbillon Micro-Rotor Automatic watch (hands). With its micro-rotor and ampersand-adorned flying tourbillon, the BR X2 was a step nearer to this latest creation not least because it had been something of a sapphire sandwich. The newest Bell & Ross BR-X1 Skeleton Tourbillon Sapphire is like a practical hybrid of both — but with a twist, since it employs the BR-X1 case assembled from five, quite carefully carved sapphire blocks. It is unusual for a watch to be inspired by a car that was designed by the same brand, but this is exactly what happened with this new model, which is directly inspired by the AeroGT concept car presented by Bell & Ross last year. 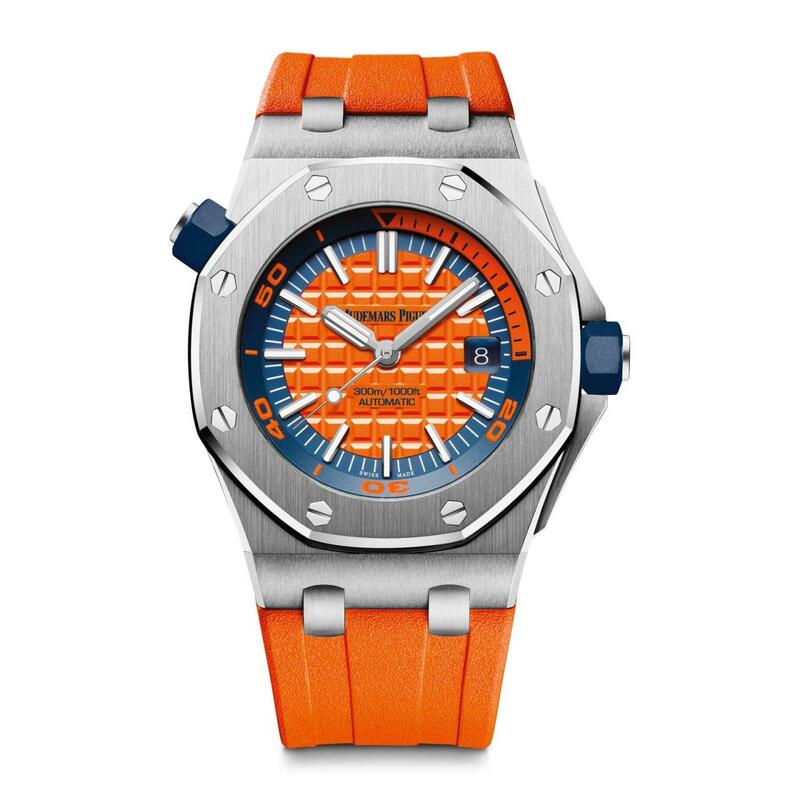 This is seen most clearly in the quilted leather strap with contrasting orange stitching, which alludes to steering wheels on classic sports cars. Orange is also found on the flange around the edge of the dial and, more unusually, as a treatment on the skeletonised movement components visible through the open dial. 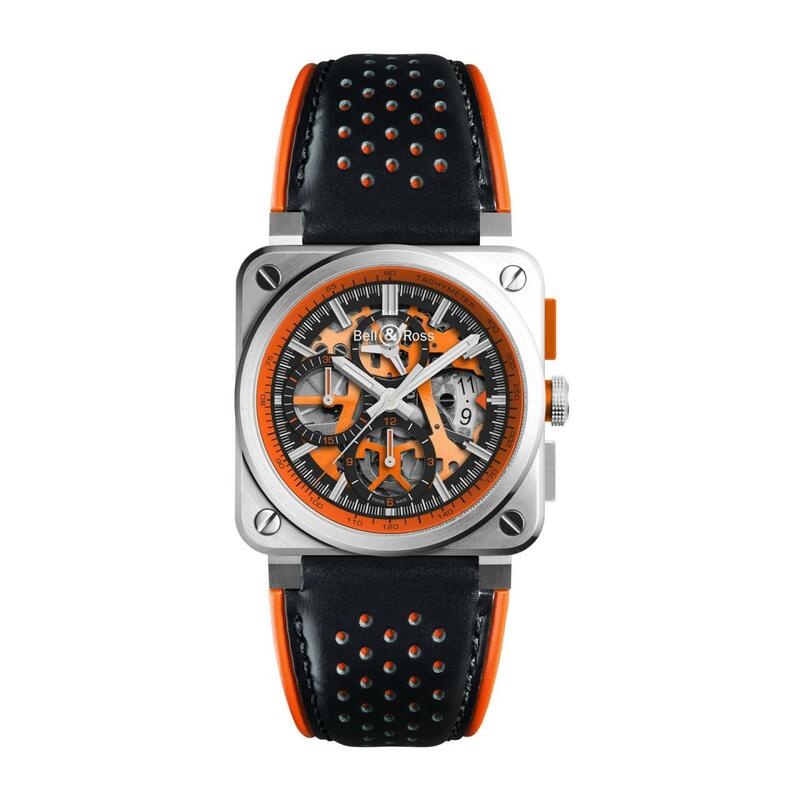 The BR 03-94 AeroGT Orange is powered by the self-winding chronograph calibre BR-CAL.319 and is water resistant to 100 metres. It is a limited edition of 500 watches a the retail price is CHF 8,100. 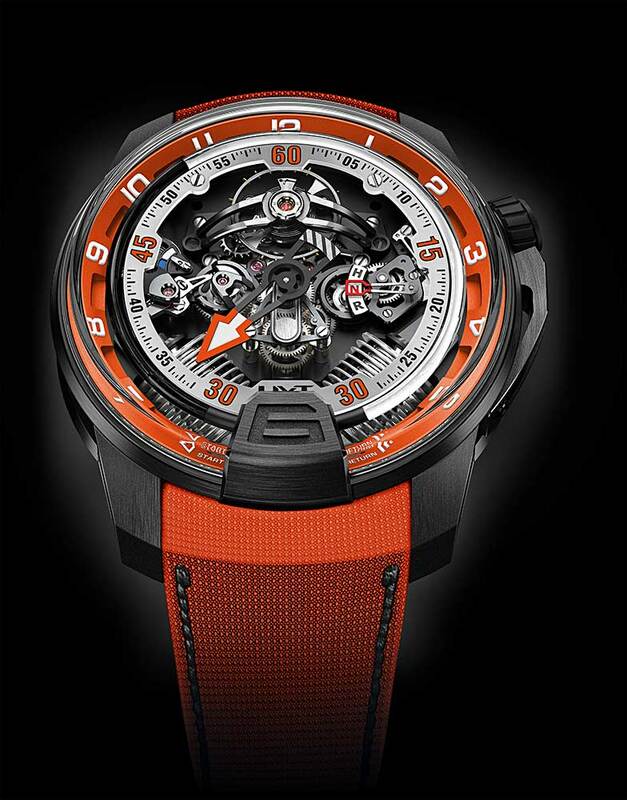 After the success of the colourblock models presented in its H1 collection last year in red, blue and yellow, HYT has discreetly produced an orange version of its H2 model. You won’t find it on the brand’s website yet, but I spotted it at this year’s Le Mans 24 hour race on the wrist of Fabien Barthez. It is only the second watch in the H2 collection (which is characterised by the V-shaped arrangement of the bellows that push and pull the fluid around the capillary to indicate the hours) to feature a highly legible arrowhead minute hand with red tip.